EXTENSIVELY renovated waterfront home boasts a perfect balance of coastal beauty, comfort, and refinement! No detail has been missed. Upgrades include new elegant Travertine flooring, designer Chef's Kitchen with granite counter-tops, modern back splash, stainless steel appliances and floor to ceiling soft-close cabinetry. The open floor plan concept lends exceptional water views and access through gorgeous french doors to the intracoastal from the Kitchen, Dining Room, Living Room and the Master Bedroom making this a water lovers dream home. Entertain your guests with the perfect combination of elegance and warm homey feel. This sturdy block construction home has 3 Bedrooms, 2 upgraded full baths, interior laundry room and 2 car garage with a pad for a golf cart. All NEW windows, doors, roof and dock are just a few of the many upgrades recently made to this elegant home. 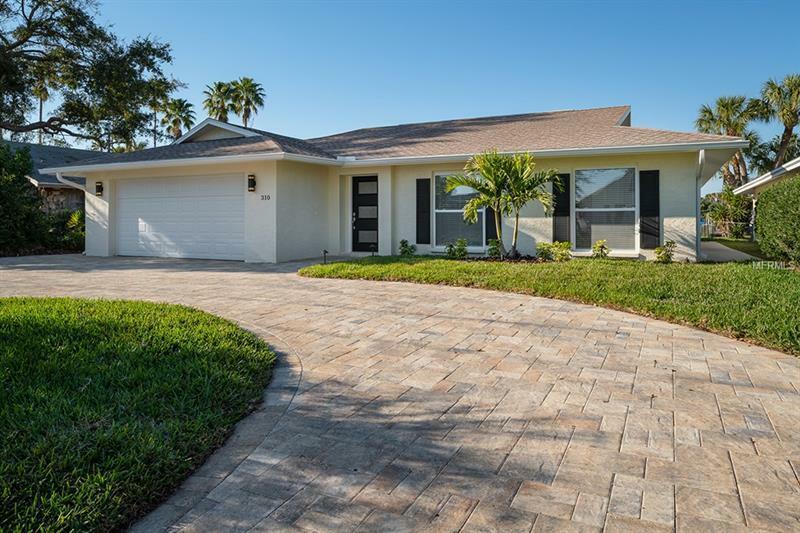 You will notice this property has uncompromising curb appeal with attractive landscaping and an irrigation system that surrounds the home keeping your yard green. Only blocks to the white sugar sand Gulf Beaches and nestled on a PROTECTED and DEEP WATER lot. Bring your boat, golf cart and beach toys and live the "Salt Life" in this quaint coastal town. This is a wonderful opportunity to own your waterfront dream home, second home and excellent investment opportunity. This MOVE IN READY home won't last long, don't miss your chance to own property in the highly desirable Indian Rocks Beach neighborhood.